NEW YORK—December 05, 2017— Following a year of record growth for its platform, and to further its commitment to serving the independent wealth management community, CAIS is proud to announce the formation of the CAIS Advisory Council. CAIS was established with a vision to create a platform that would empower independent advisors with access to specialized investment products, and to provide product manufacturers with streamlined access to the fragmented independent advisor community. Since inception, gross transaction volume has surpassed $5 billion; thousands of advisor firms / teams nationwide actively explore and invest in the dozens of leading product providers that have joined the platform. As a result, CAIS has established itself as the premier gateway to the multi-trillion dollar independent wealth channel. The CAIS Advisory Council will be a forum for key industry influencers to provide input on the future state of the CAIS platform and the key role it plays in the industry. Confirmed members of the CAIS Advisory Council include Barron’s top-ranked registered investment advisors, the nation’s largest RIA platforms, leading independent broker-dealers, globally recognized product managers, independent custodians, Silicon Valley technologists, and other key market participants. CAIS will announce all members of the Advisory Council in January 2018. Foremost on the Advisory Council’s agenda is the identification and prioritization of relevant platforms whose integration with CAIS would be impactful for independent advisors. As the independent wealth management community adopts an array of outsourced solutions, CAIS has long recognized that advisors are then presented with the challenge of dealing with a multitude of tools and platforms. Advisors now seek a seamless blend of integrated solutions to maximize their productivity and differentiate their practices. CAIS has established itself as a champion of integration within the wealth management ecosystem and is committed to dedicating resources in 2018 to expand those capabilities with existing and new partners alike. CAIS was an early adopter of DTCC’s AIP protocol for the standardization of alternative investment reporting and has complemented that initiative by pursuing robust integrations with all major custodians. CAIS’s platform integration with Fidelity, notable for its single sign-on and subscription process features, was recognized with a WealthManagement.com Industry Award and has set the stage for even deeper integration with the industry’s custodian platforms. CAIS has also delivered rich integrations with category-leading asset management and reporting platforms such as Envestnet, Tamarac and Orion, enabling not only single-sign on integrations with these platforms but also the ability to exchange product and investment data. Through its seamless integration architecture, the CAIS platform is well-positioned to serve both the needs that advisors have today as well as their emerging future requirements. CAIS is the premier gateway to the multi-trillion dollar independent wealth channel for specialized investment products, delivering a superior experience to wealth managers and product providers alike. 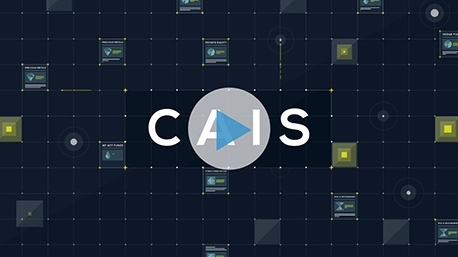 As the leading open-architecture financial product platform offering access to a diversified menu of funds and products, CAIS provides streamlined execution for an expanding list of alternative investment funds, IPOs and follow-ons, and structured notes. CAIS complements its fund offerings with independent due diligence provided by Mercer.